The network brand of VINCI Energies for energy transition. Locally as well as globally, provides customers with all expertise for and regarding the production and consumption of electricity as well as for power grids. In the Netherlands, Omexom serves customers in the Energy, Mobility and Industry with expertise in high and low voltage, and in monitoring and control. Electricity is gaining momentum. New ways of production, storage, transformation, transmission and distribution of electricity are created. These developments will continue in an intensified manner and often cross borders. In addition, there is a growing need for smart solutions in the grid. Omexom wants to play a leading role in these developments. It wants to offer all expertise for the production and consumption of electricity as well as for power grids. In short: design, construction and maintenance for the entire chain of electricity. Now and in the future. Therefore, Omexom anticipates new technological opportunities and the innovations of its suppliers. The specialists of Omexom design, realise and maintain smart, sustainable and innovative solutions in a safe manner and fulfil what they promise. Omexom guarantees its customers the most practical approach, and one hundred percent quality. Omexom mainly works for producers and consumers of energy and for the managers and owners of power grids. It does this in the Netherlands from business units in Assen, Dordrecht, and Zwolle. They are an active part of the international Omexom network. 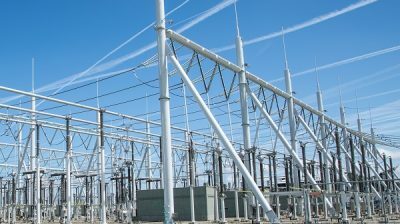 With 12,000 specialists in electricity and other disciplines from more than 40 countries worldwide, we offer all expertise for and regarding the production and consumption of electricity as well as for power grids. This ensures customers continuity and practical innovation.